Washington, D.C. - In case you missed it, Senator Pat Toomey (R-Pa.) recently received a commitment from the office of the United States Trade Representative (USTR) that it will establish an exclusion process for U.S. importers from future Section 301 tariff increases on Chinese goods. 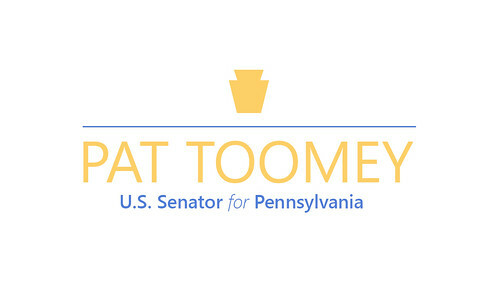 In November, Senators Toomey and Jones (D-Ala.) led a letter to USTR, which was joined by 32 bipartisan senators, requesting the implementation of an exclusion process that would be straightforward so that firms, including American small businesses, do not have to expend significant resources in order for their requests to be considered. If trade talks with China don't produce a deal by March 1, the White House has scheduled an increase in tariffs to 25 percent from 10 percent on $200 billion of Chinese goods. Republican Senator Pat Toomey of Pennsylvania and Alabama Democrat Doug Jones have pressed the office of the U.S. Trade Representative to develop a process whereby some importers can apply for exclusions from the new tariffs, similar to what's already in place for tariffs on about roughly $50 billion worth of Chinese imports. USTR responded in a letter to Toomey and Jones with a promise that exclusions will be allowed. "If the duty rate on the $200 billion tariff action is raised to 25 percent, USTR will initiate an appropriate exclusion process," according to the letter dated Jan. 11. Decisions on exclusion requests for tariffs on Chinese imports are based on whether a product is available only from China, if duties "would cause severe economic harm" to the company or U.S. interests, and whether the item is strategically important, according to USTR. In an emailed statement, Toomey said "tariffs are taxes" that hurt American consumers and workers. "While I appreciate USTR creating an exclusion process for its third list of 301 tariffed-products, my hope is the administration and China reach an accord that ends this incipient trade war and rescinds the tariffs," Toomey said. The remaining requests were in different stages of review, including more than 1,500 being examined by U.S. Customs and Border Protection "to determine whether an exclusion would be administrable," according to the USTR.